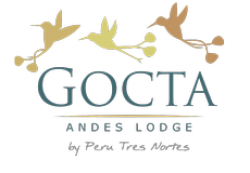 Gocta Lodge is located in the small village of Cocachimba, the starting point of the hikes to Gocta. It is easily accessible - 22 km from Pedro Ruiz, the arrival point for buses coming from Tarapoto and Chiclayo, and 42 km from Chachapoyas, the colonial capital of the region. Situated at an altitude of 1,800 meters, it enjoys a privileged spring climate.